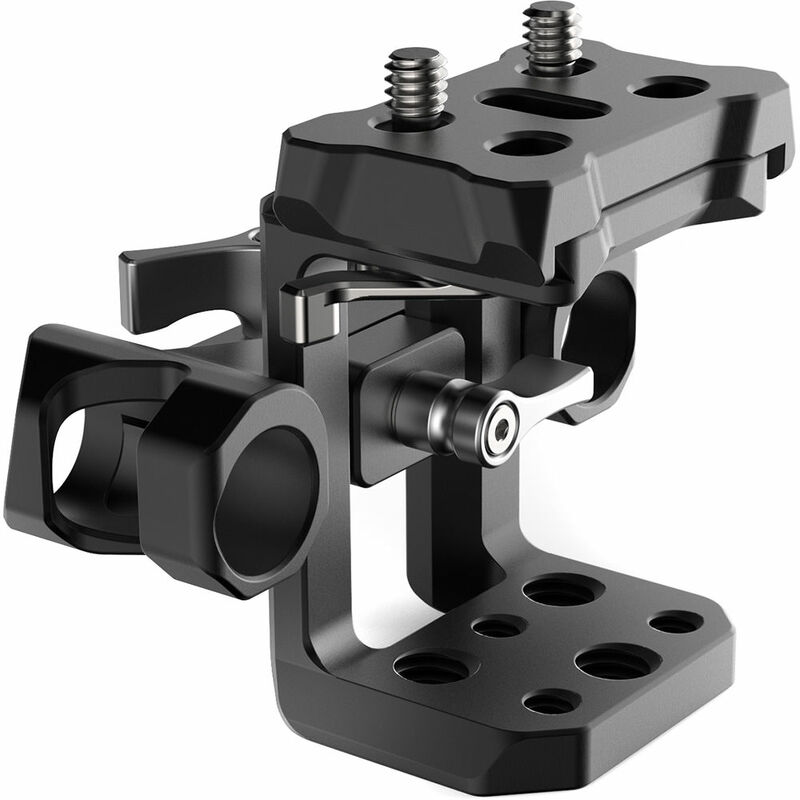 The aluminum 15mm Universal Rod Support with Quick Release Plate from 8Sinn provides a solid base for all types of 8Sinn cages. The support is equipped with a quick release system that enables quick separation of the cage from the 15mm rod support. The support features two standard LWS 15mm rod ports, one locking lever for regulating the height of the rod clamp, another locking lever for rigidity adjustment, and multiple 1/4"-20 and 3/8"-16 mounting points. The top plate attaches to the cage with two 1/4"-20 screws and unmounts from the support using a quick release lever. The 15mm rods are available separately. Box Dimensions (LxWxH) 17.0 x 5.6 x 4.6"